Please use the search bar on my site if you’re looking for information about a particular topic. It’s on the right side of the homepage if you’re on desktop or laptop, or way at the bottom of the homepage if you’re on a mobile or tablet. For product support questions about my ebooks or video course you’ve purchased: I want you to be 100% happy with your purchase! If you have technical questions or need your download links again, please send a message to hello @ thenerdyfarmwife .com (no spaces) and it will be answered as soon as possible. 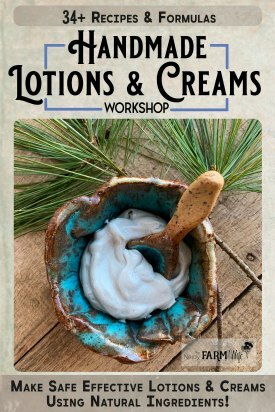 If you’ve purchased my Soapmaking Success Course or my Handmade Lotions & Creams Course, you can leave your soap question as a comment in the soap course, or your lotions/creams question in the lotion & creams course. I try to answer those within 24 hours on weekdays! Weekends might take a little longer. 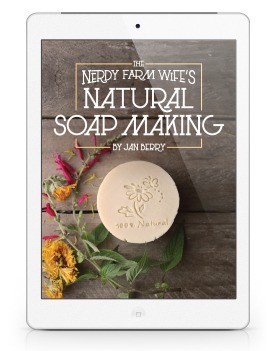 For non-soap recipe questions: I’m happy to answer questions about any of the recipes on my blog, or in my ebooks, video course, or print books. If comments are open on the blog post in question, please ask there first since that helps other readers out too. Asking on my Facebook page will probably get you the quickest response. If you have a question about someone else’s recipe on another website, please ask there instead. It’s difficult and time consuming to troubleshoot other people’s recipes that I’m unfamiliar with, and this will make sure I have time to answer any questions related to my recipes. Thanks! For health related questions & advice: I’m not a medical professional so I regretfully cannot reply back with health or medical advice. Check with a qualified healthcare provider who is familiar with your medical history. 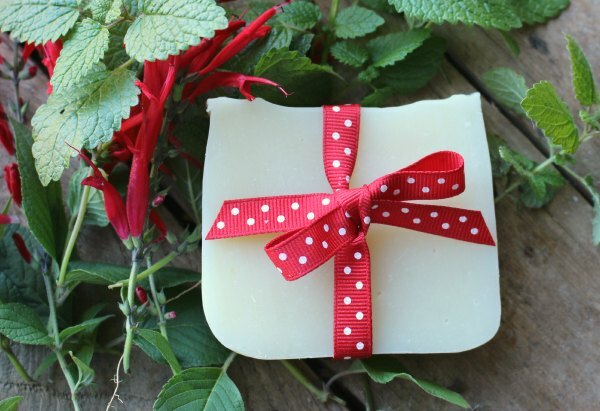 For information about purchasing soap or other products from me: I’m deeply appreciative of the interest, but I’m just not set up to sell handmade products at this time. Check on Etsy.com for a great selection! For guest post or link request queries: I prefer to write all of my own content so don’t accept guest post contributions. Absolutely no unsolicited paid or unpaid link requests will be accepted. For requests about joining my Pinterest group boards: As noted on the board description, these are closed to new contributors. For promotion or advertising requests: My calendar is booked fairly tightly well into next year. You can send your query, but if you don’t get a reply, know that it’s not the right time or right fit.